Last month Tastings.com had the opportunity to attend the American Distilling Institute (ADI) Conference in Portland, Oregon. We tasted through craft spirits from around the world, attended dozens of valuable educational seminars, and were met with true camaraderie by the truly amazing members of the craft spirits community. Ingenuity was at the core of the spirit of the conference. We caught up with a few of the innovative organizations we discovered at the conference to learn more about their experience and perspectives. 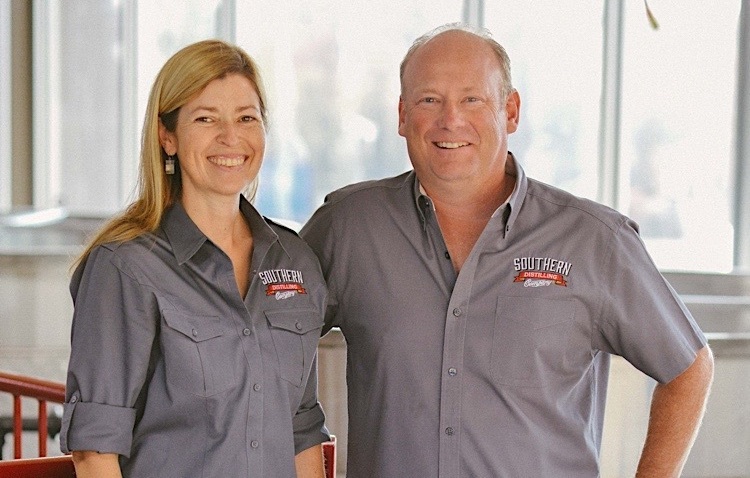 Vienna and Pete Barger of Southern Distilling Company in North Carolina are making big impact in craft spirits. In addition to their own meticulously designed products, Southern Distilling Company offers grain-to-glass contract distilling to craft community. We caught up with them to hear more about their unique service and product and learn more about their business philosophy. Tell us more about the innovative contract production aspect of your business. "While we continue to have a keen desire to develop our Southern Star whiskey and liqueur brand, we also recognized a gap in the marketplace relative to bulk, certified-craft production availability. We work with a variety of clients, ranging from new distilleries that are still in construction phase through existing distilleries that have simply maxed out their production capabilities, as well as brand owners that want to source their private label product from a true grain-to-glass facility to carry that authenticity through to their craft-produced marketing and labeling." Do you have any advice for new or aspiring distillers? "Our advice to new distillers is, number one, know what you want to be and what you want to produce. By that, don't try to produce everything from rum to whiskey and gin to vodka. Focus on your passion and be true to it. Number two, understand that building a brand takes a long time. Consider investing in new make product early phase (pre-construction), so that you are taking advantage of aging time while in planning and construction. Number three, be realistic about how much capital is required to equip a distillery that can produce at a sustainable scale and consider alternatives to over-investment pre-brand launch." How was ADI beneficial to your Southern Distilling? "ADI was tremendously beneficial to us in our early stages as we completed due diligence, built our business plan, began to establish relationships with vendors and networked in the industry. There is an extensive wealth of knowledge available to guide new distilleries in the right direction, as well as to help them avoid missteps. We asked many, many people what they would have done differently and learned from other people's mistakes. We also took the repeated advice we received to strive for robust success in our home market before expanding outward and to put in twice as many floor drains as we thought we might need. The ADI conferences, as well as, the vibrant ADI forums provide some of the deepest educational resources available today for the industry. Bill Owens and his knowledgeable team are an asset to us and to the broader craft distilling community." Townshend’s Distillery in Portland, Oregon is making a truly innovative line of spirits using kombucha to make their distillate. 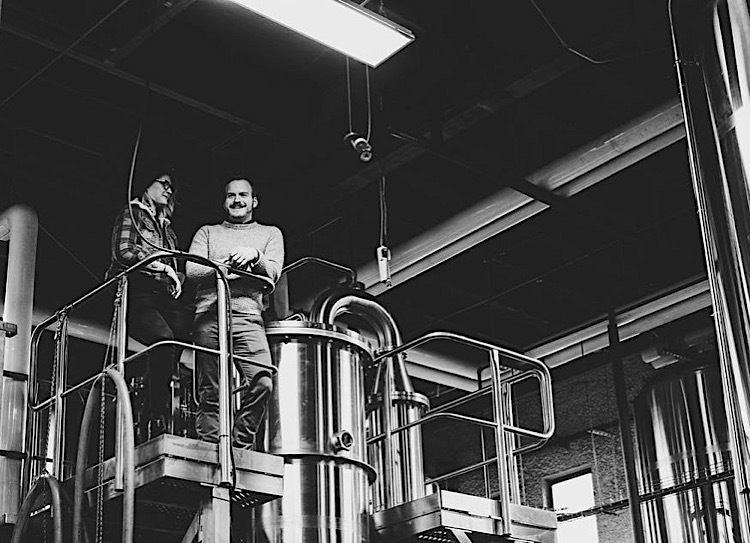 We paid Distiller Seth O’Malley and Head of Operations Ray Nagler a visit to tour their facilities, hear their story, and learn all about the botanicals that are at the front and center of their products. How did vacuum distillation of Townshend's Brew Dr. Kombucha come to be? "In 2011, Lindsay Lohan was under house arrest and wearing an alcohol monitor bracelet. The bracelet detected alcohol, and when Lohan was forced to explain herself, she famously claimed that she had only been drinking kombucha. The tabloids laughed it off, but the story brought on a lot of serious scrutiny about kombucha alcohol content. Before Lohan, kombucha brewers operated on the convenient assumption that fermentation would never produce ≥.5% ABV, the legal maximum for a "non-alcoholic" product. This was simply not the case; traditional kombucha fermentation could easily reach 2% ABV, sometimes higher. Kombucha breweries reacted in a number of ways— some chose to remain ignorant to the ABV issue, others diluted their kombucha with juice, and yet others simply added cultures and acids to brewed tea, bypassing the traditional fermentation altogether. We chose a different path. We decided we wouldn't change a thing, except that when fermentation was complete, we'd remove the alcohol under vacuum using a Spinning Cone Column (SCC). This system allows us gently distill the kombucha at 95ºF, so we can remove the alcohol without killing the bacteria and yeast in the kombucha." At what moment was the spirits line conceived as a viable business opportunity? "So, alcoholic kombucha goes into the SCC, non-alcoholic kombucha comes out, and there's a third product: distillate. We had no idea what the distillate would be like before we implemented the process, but when we did so, we immediately learned that it was (a) delicious, (b) redolent of the aromatic ingredients used in the kombucha brewing, and (c) plentiful enough to use for a spirits line. The unique aromatic character from each flavor of kombucha both constrained and stimulated our creativity. For instance, none of the distillates proved viable for a dry gin, but the "Love" distillate, featuring aromas from jasmine, chamomile, and lavender, makes a perfect base for our extremely floral take on gin. In a similar way, the distillate with sage and rosemary tones was already an amaro in the making." In what ways was ADI beneficial to Townshend's Distillery? "ADI gave us a platform to share our knowledge with, and learn from, folks from other distilleries. It's amazing how many lessons we've all learned the hard way, but we can easily save each other a lot of frustration when we have the opportunity for dialog. ADI does a great job of facilitating this through their online forum, but interacting with hundreds of distillers in person (and over drinks) is that much better. ADI also helped us get on the map, so to speak, with the industry. As a young distillery making unconventional botanical spirits from kombucha, a lot of industry folks have a hard time knowing where to place us. When we can get in front of people, show them around, pour them flights and make them cocktails, they learn that what we're doing isn't as bizarre as it sounds." The American Distilling Institute’s 2018 Craft Spirits Conference made it clear that ingenuity is driving the craft spirits industry. Craft distillers and their employees should be sure to attend next year’s conference in Denver, Colorado to connect with a like-minded group, share knowledge with their peers, and be the first to know about the industry’s newest innovations. Brands to Retailers: "Let's Work Together!" Why use Ratings and Reviews in your Marketing Strategy? You Won an Award, Great!....Now What?